Proposition 68 would allocate funding for water projects and coastal protection. STATEWIDE — California will assume $4.1 billion in general obligation bonds to fund projects on coastal and environmental protection, restoration and water infrastructure, thanks to voters approving Proposition 68 on June 5. The initiative – known as the California Drought, Water, Parks, Climate, Coastal Protection, and Outdoor Access For All Act of 2018 – was placed on the primary election ballot after being approved by legislators last year. Proposition 68 was approved by 56 percent of the electorate (2,158,311), according to California’s Secretary of State office. Kevin DeLeon, the state senator who is currently challenging Sen. Dianne Feinstein for her U.S. Senate seat in Washington, D.C., introduced the initiative in 2017 to create, improve or increase access to recreational areas while also protecting the environment. 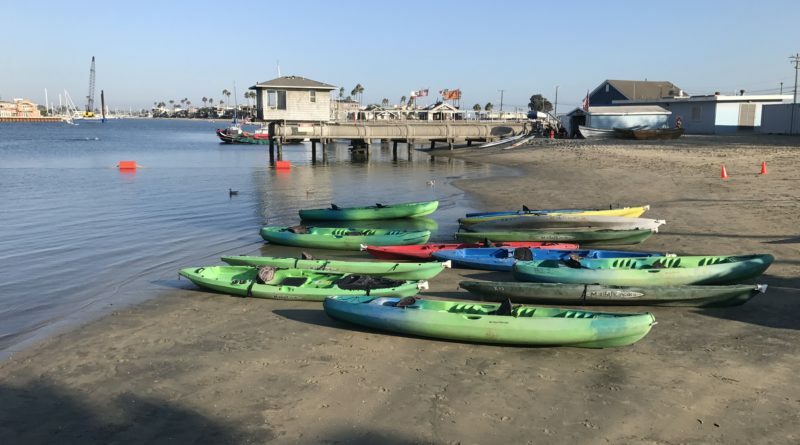 “Many Californians across the state lack access to safe parks, wildlife, trails, and recreation areas, which limits their ability to experience the outdoors, improve their physical and emotional health, exercise, and connect with their communities,” the initiative’s language stated. “Investments to create and improve parks and recreation areas, and to create trail networks that provide access from neighborhoods to parks, wildlife, and recreational opportunities, will help ensure all Californians have access to safe places to exercise and enjoy recreational activities. “Continued investments in the state’s parks, wildlife and ecological areas, trails, and natural resources, and greening urban areas will help mitigate the effects of climate change, making cities more livable, and will protect California’s natural resources for future generations,” the initiative continued. Improving California’s water infrastructure was also a focus or Proposition 68. Other Southern California conservancies receiving funding are Salton Sea Authority ($30 million), Sierra Nevada Conservancy ($30 million), Santa Ana River Conservancy Program ($16 million), San Diego Conservancy ($12 million), Santa Margarita River ($10 million), Coachella Valley Mountains Conservancy ($7 million) and Baldwin Hills Conservancy ($6 million). California’s Department of Fish and Wildlife, meanwhile, will receive $50 million for deferred maintenance. Restoration activities identified in the Salton Sea Management Plan would receive $170 million, thanks to the bond; the funding here would satisfy California’s obligations under the management plan. $40 million to the Ocean Protection Trust Fund for climate resilience. The California Drought, Water, Parks, Climate, Coastal Protection, and Outdoor Access For All Act of 2018 was approved by the state legislature (as Senate Bill 5) in September 2017 and signed by the governor in October 2017, allowing the proposal to be placed on the June 5 ballot.